Somehow the delights of Harrogate, an elegant spa town in the north of England, have consistently eluded me. So on my first visit in July it was a surprise to discover just how similar it is in many ways to my home town of Bath. The two famous spas differ in that Bath enjoys hot but unpalatable sulphurous water, whilst Harrogate is dotted with cold water springs offering up clear, sweet refreshment. A splendid Victorian park, The Valley Gardens, retains many of the features from Harrogate’s heyday, including extravagant carpet bedding and long pergolas draped with roses and clematis. 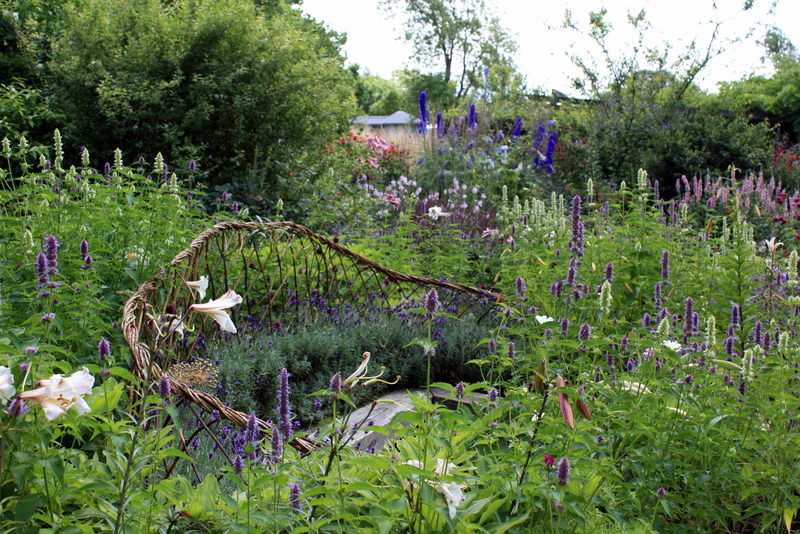 Just outside Harrogate at Harlow Carr lies the Royal Horticultual Society’s northernmost garden, and what a beauty it is. On our visit we gained the best possible impression, with the weather warm, bright and breezy. However, at 155m above sea level, on heavy acidic clay and with springs everywhere, gardening at Harlow Carr can be a challenge (‘Carr’ in the Norse language means ‘ground reclaimed from a bog’). One would never appreciate the difficulty to look around the rolling expanses of woodland, streamside and herbaceous planting, the legacy of a succession of skilled supervisors and gardeners, including Gardener’s Question Time panellist Matthew Wilson. Shortly after opening in 1950, Geoffrey Smith became Superintendent of Harlow Carr, then the Northern Horticultural Society’s headquarters and trial grounds. Despite retiring in 1975, Mr Smith continued to appear on television and became a familiar face to me as my fascination with gardening grew. 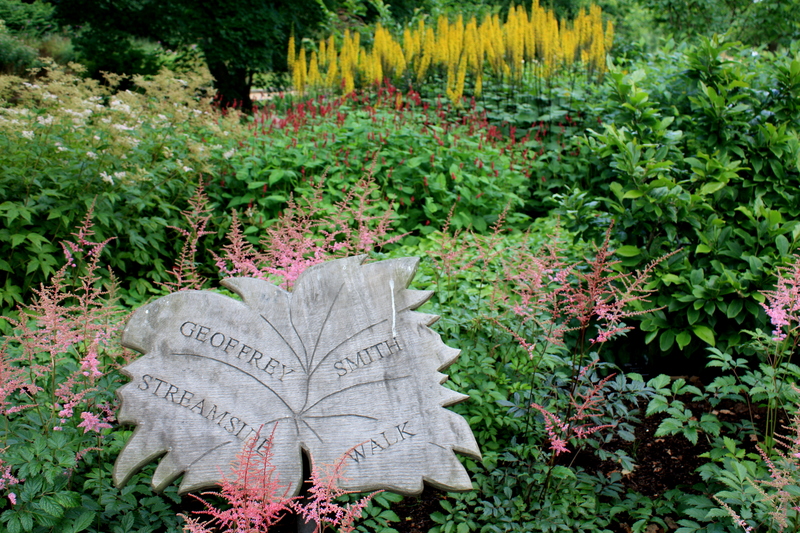 Geoffrey Smith brought the garden, which was perpetually in need of funding, to the attention of the public. He is appropriately honoured by a shady, meandering walk along the banks of the Harlow Beck, the garden’s central feature. 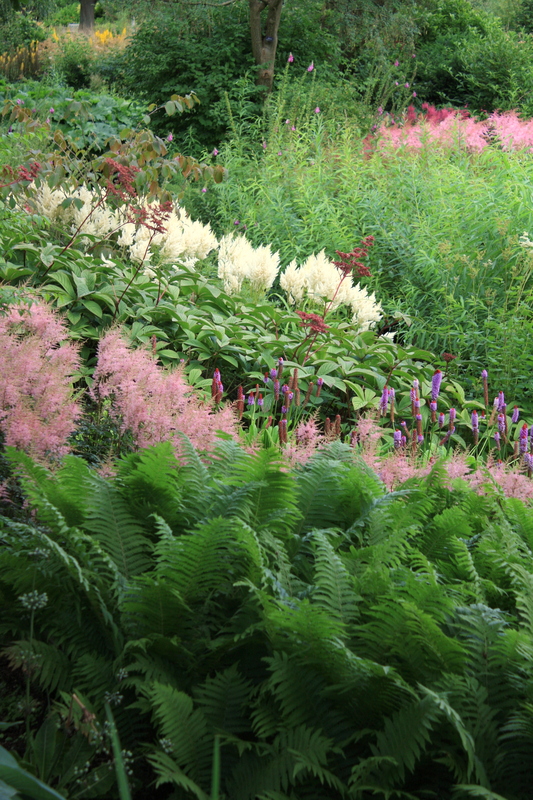 The streamside was a joy to behold, lushly planted with astilbes, hostas, candelabra primulas and rogersias. Enormous drifts are used to create rhythm and impact along the extent of the beck. In July, the acid yellow drumsticks of Primula florindae still carpeted the ground beneath shading trees. The planting is carefully contrived so that moisture lovers are positioned closest to the water’s edge, with plants enjoying drier conditions towards the top of the bank. I took notes for the replanting of our garden in London, where the soil varies between bone dry and permanently wet within about 10 feet. The Beck itself was little more than a babbling brook at the end of July but, having flooded frequently in recent winters, flood management measures are now in place. This explained the feathery ranks of willow stems planted at the foot of the steep banks, woven together in a basketweave style. A traditional technique, this is known as ‘willow spilling’ and is effective in preventing erosion during flash floods. Like many other gardens in the 21st Century, sustainability and environmental considerations are part and parcel of the maintenance regime. 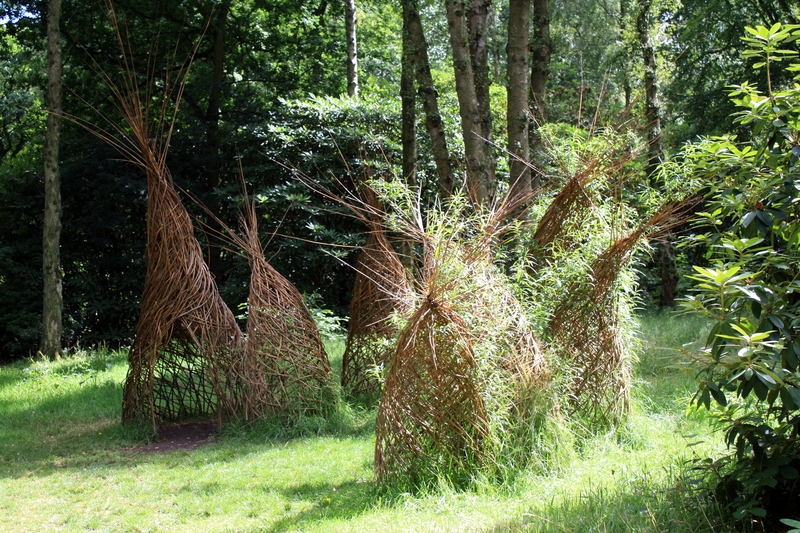 Willow appeared again in the nearby woodland, this time woven into conical living sculptures, or ‘nests’. The mature woodland and arboretum are being developed to create greater year-round interest, which includes the planting of more rhododendrons and camellias. Older specimens have been carefully pruned to reveal their contorted trunks and to increase space and light for spring flowering bulbs. Hopefully on a return visit we can experience these in bloom – I do love a good rhodie! 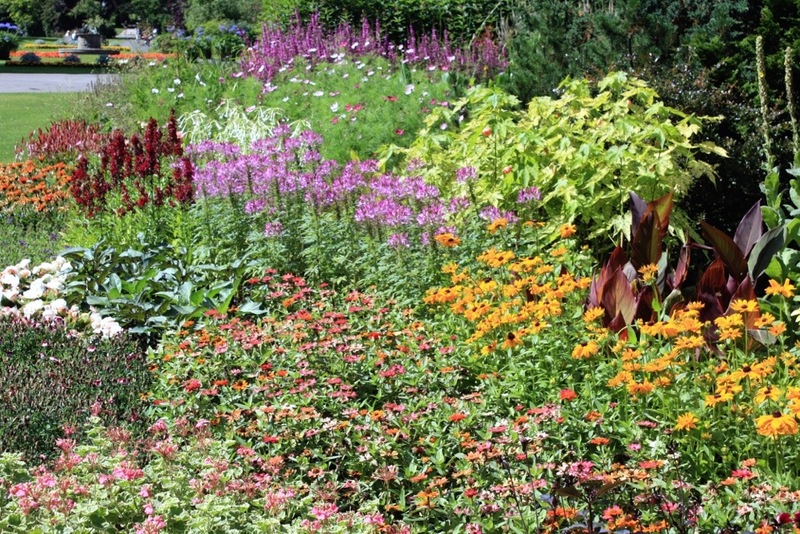 If the streamside is the garden’s central feature then the main borders must be its most prominent, particularly in July when the prairie style planting is at its most glorious. 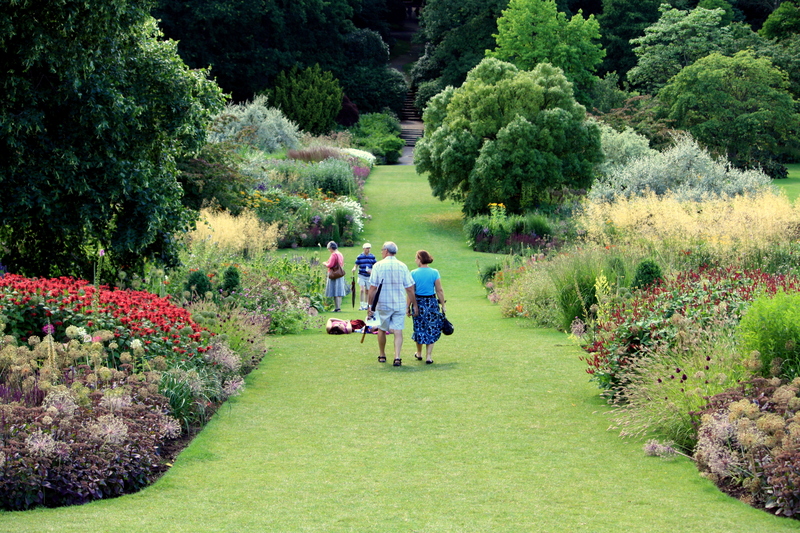 The borders were one of the earliest features at Harlow Carr and were revamped first in the 1960s, and again in 2004. As well as delivering bucket loads of colour, the new planting embraces modern principles of sustainability and biodiversity. 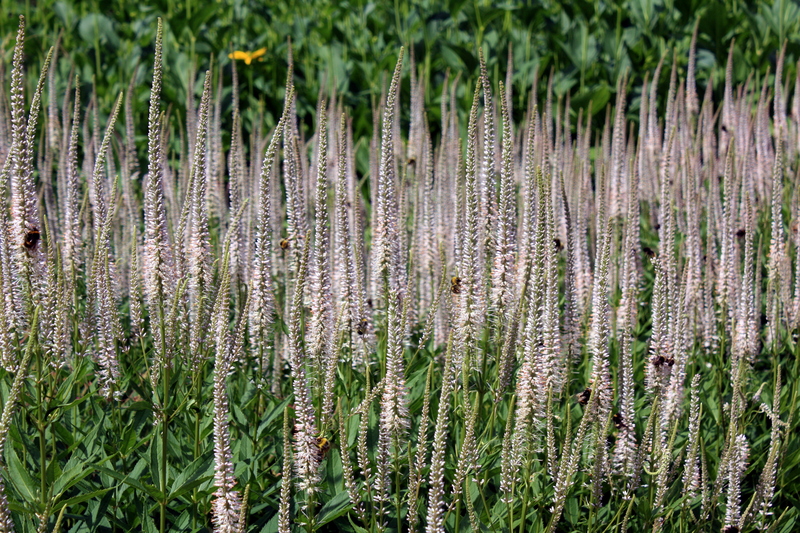 If the number of bumble bees coming to get a look-in on the monardas, eryngiums and veronicastrums was anything to go by, then I’d have said the plan was succeeding. 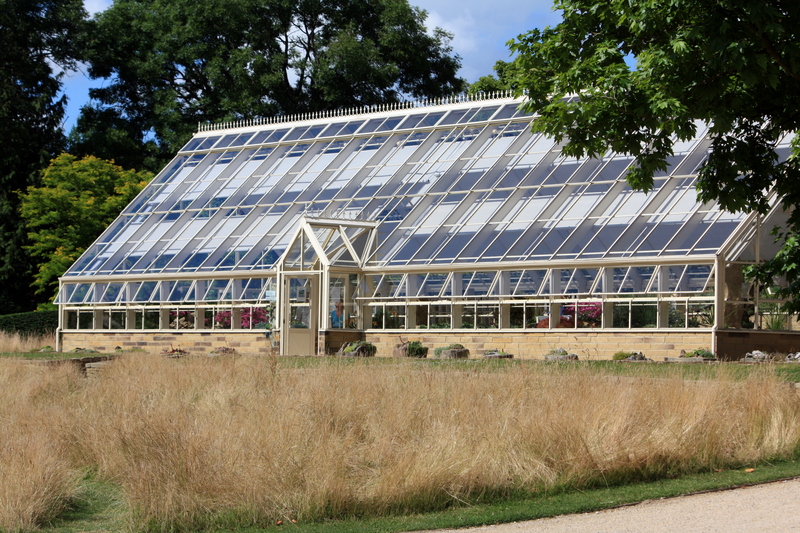 Less suited to the heat of the day were the residents of the traditionally beautiful Alpine House, which opened in 2009. Since I’m pretty hopeless at identifying alpines (they mostly look like brightly coloured pincushions to me) it’s marvellous to be in a place where everything is so well labelled. The layout is as naturalistic as it’s possible to achieve, with plants organised by natural habitat rather than where they hail from. 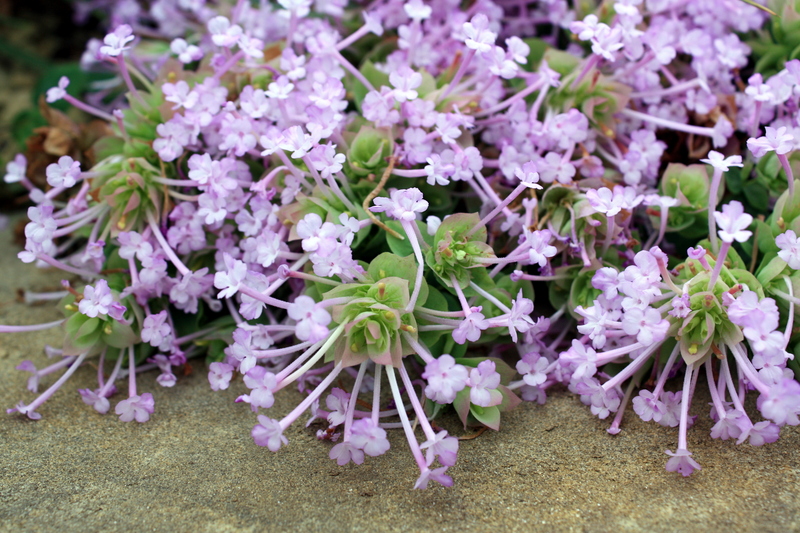 A pretty, rose-pink origanum, O. amanum, caught my eye, cascading over a large sandstone rock. A little less pincushiony than some of its stablemates and the proud owner of an RHS award of garden merit. Outside, in the shade created by the Alpine House, are a series of slate rock features which are home to hardier alpines. 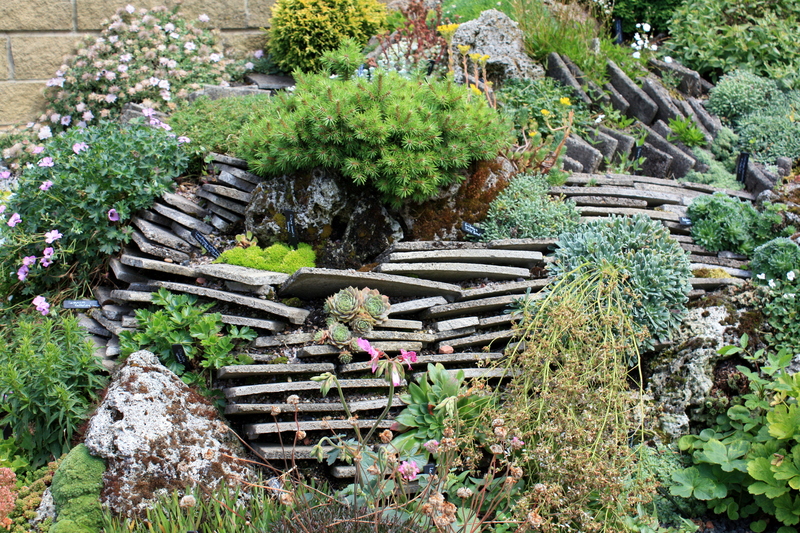 A feature like this would be easy to create in a small garden and is ideal for anyone who has difficulty bending down to garden or appreciate tiny flowers. Sharp drainage is absolutely key for these little treasures, as they hate to be waterlogged. 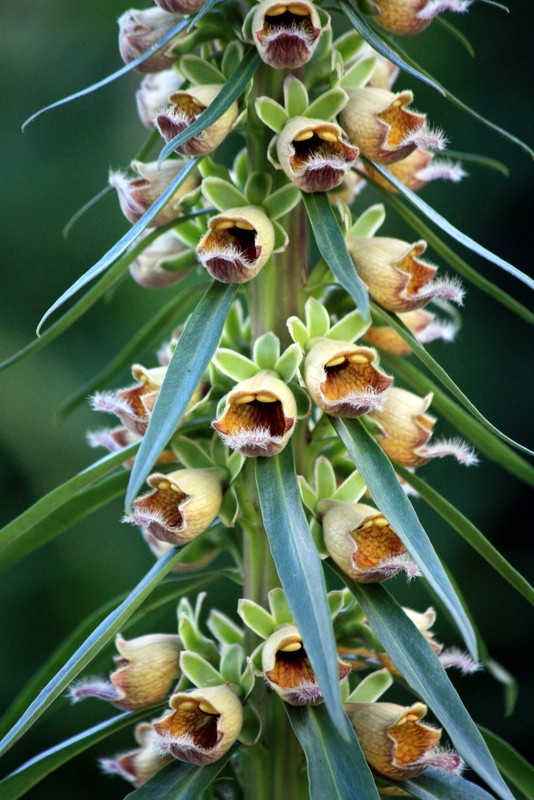 I’ll end my tour around Harlow Carr with a shot of a beautiful copper-coloured digitalis in the early 20th Century garden, influenced by the work of Edwin Lutyens and Gertrude Jekyll. 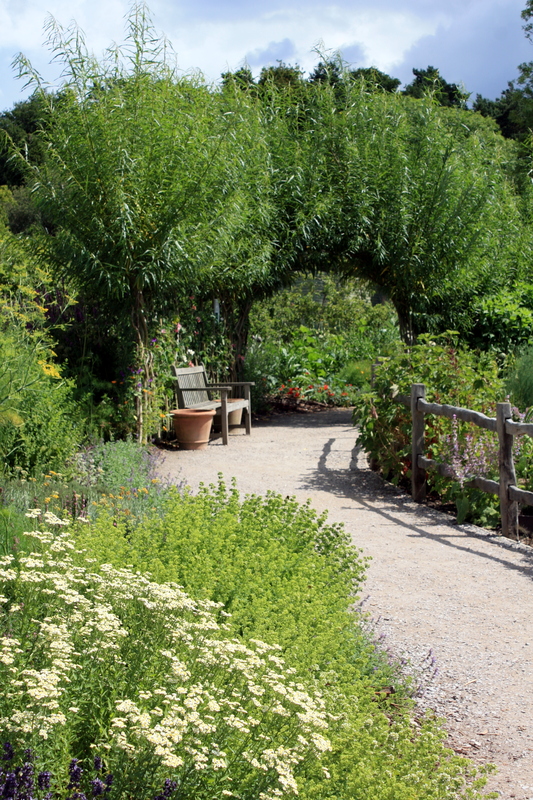 This design is part of The Gardens Through Time section, which is due to be redeveloped into an area off curving pathways and herbaceous planting by 2016. In 1861, 155 years ago, the original owner of the Harlow Carr Estate described it as a ‘sweet, secluded spot….. The ground are neatly laid out, adorned with a selection of trees, shrubs and flowers, walks, easy seats and shady arbours’. Thanks to the care and attention of the Northern Horticultural Society and the RHS the same holds true today. 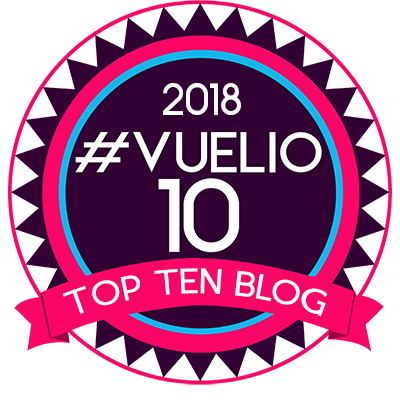 lovely place to visit …not been there for a while …it’s now on next years list.. thanks. Very beautiful place and amazing pictures! Thank you. Feels like a million miles away right now as I’m in Hong Kong which has a very different vibe! Lovely post, makes me want to venture north! Yes, it’s brilliant isn’t it? Would love an alpine house, or an anything house for that matter!